As we complete half a year on this journey, we will walk through the steps and missteps of Donald Trump, David Geffen, Masayoshi Son, Henry Kravis and Rupert Murdoch on their path to wealth. We'll learn how to identify Deal Makers and the steps to harness your winning formula and avoid your losing formula if you are a Deal Maker. 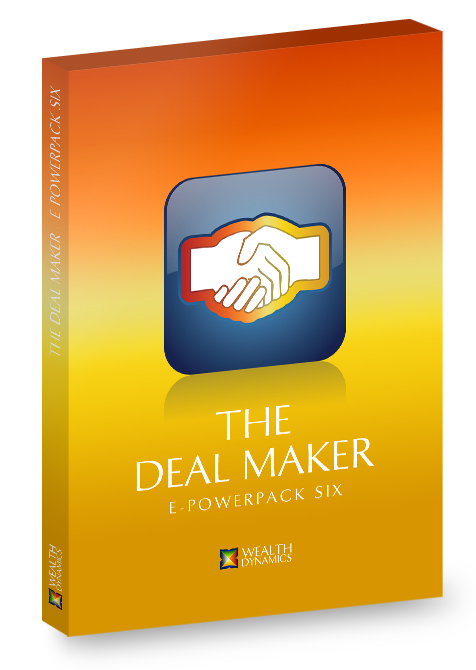 Click the button below to add the ePowerPack #6 - The Deal Maker to your wish list.